Hours must serve the Garces community (i.e. Christmas on Campus, Special People Day, Swim Meets, Gala, Band Show, etc.). Students are to be serving in a meaningful way that assists a church or parish community. Serving in a church ministry, assisting in a church fundraiser or assisting with a church service project are all acceptable hours. Service which occurs while fulfilling a student’s Sunday Obligation (Altar Serving, Choir, Eucharistic Minister) will be prorated at a ratio of 2:1 (one hour of service equates to thirty minutes of Parish Community Service). Working with a Parish School (OLPH, OLG, St. Francis, etc.) will count for Parish Hours. Non-Profit Community service may only be completed through organizations approved by Garces Memorial High School. Please see the Campus Ministry Office for an updated list of approved organizations. Note: All Service Hours are subject to approval by the Campus Ministry Office. Service hour must be properly submitted to the Campus Ministry Office. Please contact Mr. Brian Cobb, Director of Campus Ministry, with any questions. Our mission at Garces calls us to teach and inspire our students to be Christ-like in all they do. Their spiritual formation is paramount to their development as children of God. Christ calls us to serve others and Garces asks our students to do the same. Each freshmen and sophomore student is required to complete a total of 100 hours before graduation. Half of the hours are required to be in a specific area that is within the S.H.E.D.S. Community Service Program. Sick - Hospitals, candy striping, doctors offices, cancer research, etc. Homeless - homeless shelters, food banks, clothing drives, food drives, etc. Elderly - Hospice Care, old folks homes, assisted living centers, etc. Disabled - BARC, Special Olympics, special education, etc.  Schools/Parish - (Non Garces)- OLPH, St. Francis, OLG, coaching youth sports, etc. Note: any Garces volunteer opportunity like volunteering for a political campaign, helping a small business, helping at CALM during the holidays, etc. can be counted toward S.H.E.D.S. hours. A minimum of 5 (five) hours will be from S.H.E.D.S. and the other five can be from other service hour opportunities. During Freshmen year students will begin work on the sophomore requirement of 20 (twenty) hours due by the first day of sophomore year. Again, at least 50% of those hours will come from the S.H.E.D.S. program. Junior requirement will be 30 (thirty) hours, at least 15 (fifteen) hours from S.H.E.D.S.. The senior requirement is 40 (forty) hours. When students step foot on campus for the first day of school their senior year, they will have completed the community service hour portion of the service project requirement for graduation. Senior theology teachers will assign a project during the ethics and morality portion of their course that will review students volunteer experience. * Students are welcome to do 100% of their hours from the S.H.E.D.S. program.